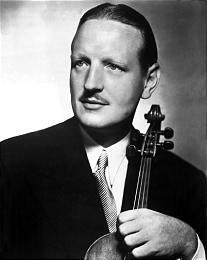 William Primrose is universally known as the virtuoso violist. In this article I explain through the lenses of the Alexander Technique what allowed him to reach his full potential and how everyone has this inborn potential. 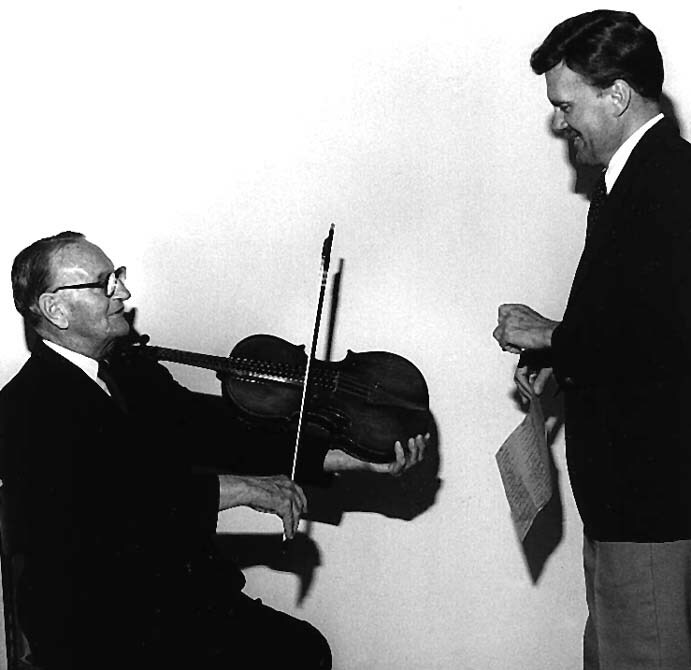 Mr. Primrose was a natural, not just with regards to the viola- but in his everyday life. He never lost his childlike poise, even in the face of great challenge. Janos Starker (virtuoso cellist) described him as, “a man of enormous courage, humility, knowledge, and insatiable curiosity … a man reaching heights but never losing sight of his frailties, while unflinchingly pursuing the loftiest goals.” Those attributes are paramount to successful study and application of the Alexander Technique. F. M. Alexander described what he called the ‘right mental attitude’ as one of a curious child engaged in learning, par for the course for Mr. Primrose. Alexander described the ‘Primary Control’ as “A certain relationship of the head, neck, and back.” It is not a position, but a dynamic relationship of a lengthening spine with the skull balanced delicately at the top and the ribs free to move with the breath. Alexander discovered that the organization of the Primary Control profoundly affects the quality of general use of the whole self. If the Primary Control is well organized, the general coordination of the self trends toward integration and organization, whereas if the Primary Control is not in a healthy relationship there is a tendency toward mal-coordination and disintegration. The Primary Control does not operate in a vacuum, as use of other parts affect it and the whole, but as the area in question contains the majority of our nervous system and is the central axis of support for balance and movement its role to play is both basic and of the utmost importance. If the habitual use of the Primary Control includes mal-coordination and disintegration it will manifest in the specific parts and in the activities of life which depend on the use of the self (everything). Put simply, use affects functioning. 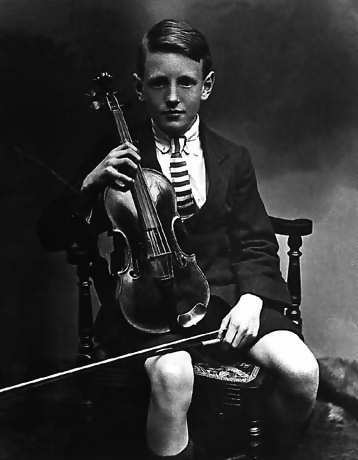 A free-spirited young violinist named Karen Tuttle was so taken by Mr. Primrose’s ease of playing after seeing him perform with the London String Quartet in Los Angeles, that she immediately asked to study with him. He agreed on the conditions that she move to the East-coast to study at Curtis and that she switch from violin to viola. Ms. Tuttle is quoted from the interview ‘Body and Soul, “But because [he was so natural], trying to elicit information from him about something he did technically was a bit like asking the average person, ‘How do you breathe?’ Still I knew that I would be able to unravel my own technical problems by watching Primrose and absorbing what he did. Watching him was a great lesson in itself.” Ms.Tuttle eventually became his teaching assistant and Mr. Primrose would often refer students to her for technical questions claiming that she knew more about his playing than he did himself. Ms. Tuttle began to notice that Primrose had what she called ‘releases’ before events in playing such as shifts, crescendi, changing the direction of the bow, etc; most noticeably in the neck and lower back/pelvic region. In other words, she was noticing that Mr. Primrose’s ‘Primary Control’ was becoming more organized and available in preparation for a movement/activity. What’s more, the release and subsequent movement continued through the gesture. She eventually developed a system of playing that she called ‘coordination’ in which she strived to integrate musical ideas, appropriate ‘releases’ in the body, and emotions with the ultimate goal of bringing as much of her self into the picture while playing the viola as possible (as Primrose did naturally). While her discoveries were groundbreaking, very few of her students could grasp what she was on to. A likely culprit is the word, “release.” The true meaning of what she called ‘releases’ has little to do with physical gestures and superficial positions/movements. What she called release had to do with the initiation of the movement, however the movement itself was expansive and active, not collapsing and floppy. What she called release movements, are akin to what Alexander called lengthening and widening. The external movements involved in Tuttle coordination will happen naturally in someone who uses herself well, there is no need to consciously and artificially impose them. Without the underlying natural use, the movements that are involved in Tuttle’s coordination are not very helpful. Tuttle had this to say about her use of the word release, “Release movements are predominantly subtle, have a soft yielding quality and, in those players inherently capable of them, they appear smooth and natural rather than extraneous or self-conscious … release is actually what initiates the movement.” In other words, natural movement starts with an undoing, because of this the movements involved in coordination can’t be done in the way most people understand doing. You can’t do an undoing after all. We do not come into this world with an instruction manual when we are born, and our general use patterns are developed before we are terribly self aware. How we learn to balance, move, and think as children becomes our habitual use in everything we do later in life. As children, we learned intuitively and the self was a relatively blank canvas. We must remember that the self works as a whole and it is impossible to separate the mind, body, spirit. When we perform a specific task such as playing the viola, everything we know about balance, beauty, and indeed all of our personal experiences are in play as those experiences have been fed into our nervous system and have become integrated into the self. There are far too many reasons as to why our natural use is disrupted to spend much time on the topic in this context, but generally if we learn to respond to the various stimuli of life with fear, anxiety, and overworking, a specific activity will be experienced as scary, stressful, and difficult. If we meet the stimuli of life with curiosity, freedom, and expansiveness, the activity will be perceived as enlivening, interesting, and relatively easeful; regardless of the specific activity. This provides an explanation for the many accounts of individuals overcoming great hardship while remaining relatively unscathed, and similarly people for whom the smallest inconvenience is reacted to and experienced as the greatest hardship. Alexander developed an extremely effective technique to free us from the cycle of stimulus and habitual response allowing the possibility for change on a deep level. Through the technique one can learn to let go of the things holding us back from reaching our full potential. F.M. Alexander was a Shakespearian reciter. Fairly early in his career he began losing his voice when he recited. As he only lost his voice when reciting he decided that something he was doing while reciting must have been causing the trouble. He consulted with a physician who agreed with him but could not tell him what he was doing while reciting so he set out find the source of his troubles by using mirrors to observe himself while he recited. F.M. began to notice that when he recited he pulled his head ‘backward and downwards’ onto his spine which in turn was putting pressure on his vocal mechanisms. He concluded that this must be the root of his trouble. What was more, he discovered that this pulling the head into the spine was often the first reaction to the thought of doing any activity. He also noticed that when he decided to put his head ‘forward and up’ he could not maintain this direction of the head when reciting. He could not feel his habit engaging when we he started to recite, instead he felt as if his head was forward and up when it was in fact being pulled back and down onto his spine. This was a major turning point in his self-exploration because he realized that his feeling sense (proprioception) was not trustworthy. He later realized that he must simultaneously give the intention for each part of the process of the activity while withholding consent to the idea of doing the activity. In other words, if he thought of reciting he would immediately pull his head back and down into his spine because the habitual thought of reciting manifested the habitual coordination associated with the habitual thought. Alexander came up with an ingenious process to get himself out of the rut he was in. He would give himself the stimulus to do something (such as reciting) but instead of reacting he would say no to any habitual reactions and instead projected the thoughts for “his neck to be free, for his head to go forward and up, his back to lengthen and widen, and his knees to go away” which he came up with as preventative directions against the habits associated with his mis-use patterns. These things happen naturally in someone who has good use. Once he found himself sufficiently well organized by thinking the directions he would either give consent to the activity while simultaneously saying no to his habit and projecting the directions, do nothing, or do some other activity. In this way he slowly restored his childlike use of himself. We typically haphazardly stumble through the learning processes of life with no idea how to create habits other than the common experience that we must do the task in question “right” many, many times and a habit eventually sets in. At this point we have little conscious control over the habit apart from the ability to initiate (and/or hopefully stop) it. In the dreaded case that one learns a wrong (or bad) habit, common experience is that it is infinitely more difficult to “break” a habit than to create a new one. The deepest sets of habits are the habits of being: temperament, reactivity, balance, presence & focus, fearfulness, etc. All other habits and functions of the self are affected and built on top of these. Similar to the obvious fact that when one begins playing an instrument the first habits develop and act as a basis for all following habits. Where you hold the instrument determines which bow path is straight, where the fingers and arm are in relation to the torso, etc. It is fairly well known (especially in the viola community) that set-up is important, however little is known about what goes on underneath the instrument. Many positional rules exist, such as holding the instrument parallel to the floor, but what good is that if the person is hunched and pulling all limbs into the torso, or is only able to stand by stiffening the legs and ribs? Where would the viola be if they stopped hunching and unstiffened? The viola is an inanimate object after all, so what we call viola technique can’t be separated realistically from the technique of movement while balancing in gravity. We are simultaneously moving around the viola, supporting it, and manipulating it. Most people are so bent out of shape by their habits before they ever pick up the viola that telling them, release this, raise your elbow, or whatever specific instruction that seems appropriate only layers on more habits to the onion of habits they’ve already created. This is not to say that new habits layered on top of a mess can’t be helpful, at least temporarily. Instead my point is that we can use the Alexander Technique as a shortcut to something more substantial; to cut right to the core of our being and to break the cycle of reacting and doing in the old way. This is the starting point to play like Primrose, to be a natural. The old pathways will always be there and will be tempting, but to get where you want to go you must take a new path, there is no way to get new ends with old means. There have been several articles in the New York times on mindfulness recently and it would seem that mindfulness is back in vogue. One that caught my eye most recently was focused on a study that found that pausing, even for just half a second, between having a thought and making a decision to act on that thought improved decision making. 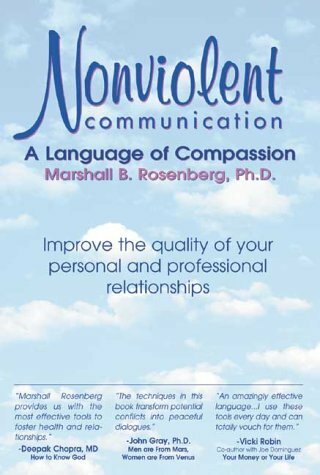 Nonviolent Communication: A Language of Compassion by Marshall B Rosenberg PhD is a powerful tool that helps one connect to their own feelings and needs as well as the feelings and needs of others. Typically, I would be writing about how the Alexander Technique enhances some other activity; my primary focus in this essay will be how to use NVC to enhance your AT practice. Let’s take a look at the different aspects of NVC and how they apply to the AT. MBR, “The clearer we are about what we want back, the more likely it is that we’ll get it.” This statement reminds me of the Alexander concept of direction. The clearer our conception and request for neck free, head forward and up, torso lengthening and widening, knees forward and away; the more likely we’ll get it. Dr. Rosenberg advocates for, “Making requests in clear, positive, concrete action language [as this] reveals what we really want.” adding, “How can you do a don’t?” This is an interesting point as it is common practice in the AT to say, “don’t do this, don’t do that.” When we choose to use this methodology we should be careful to at least hint at what we do want. I recently heard a story from a music professor who had hired an Alexander teacher to teach a class and was horrified when the teacher proceeded to humiliate a student on stage saying, “Don’t do that!” repeatedly when the student didn’t have any idea how to not do what she was doing or what she ought to do instead. It is interesting to note that Alexander framed the directions positively, perhaps he was onto the same thing. Worrying about what others think, that we might be wrong or not good enough can be a stimulus for us to be dishonest with ourselves and others. However, if we are not honest with ourselves about our problems we can’t possibly hope to resolve them. Dr Rosenberg’s instructions in regards to receiving empathically is striking similar to Alexander’s concept of inhibition. 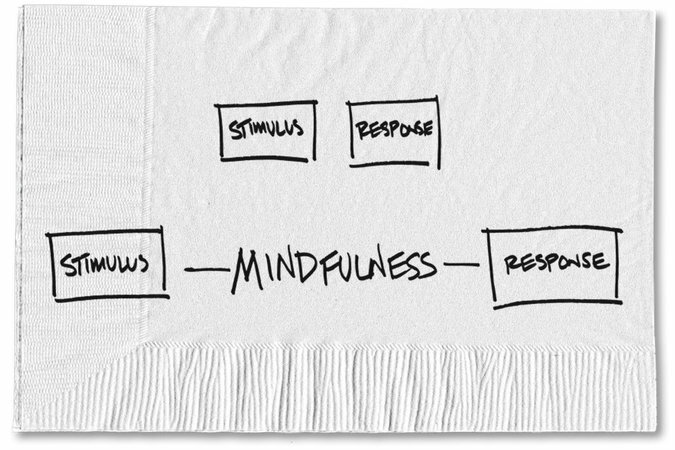 MBR, “When we sense ourselves being defensive or unable to empathize, we need to stop, breathe, scream nonviolently or take time out.” When we allow ourselves to be truly present, noticing what feelings and needs arise without reacting, we then can make a choice as to how to respond. MBR notes that our habits of reacting by advising, one-upping, educating, counseling, storytelling, shutting down, sympathizing, interrogating, explaining, and correcting get in the way of true empathy- simply being with the other person (or yourself) and listening for what they (or you) are observing, feeling, needing, and requesting. The remainder of the book goes on to explore the power of empathy, expressing anger fully, the protective use of force, liberating ourselves and counseling others, and expressing appreciation in NVC. On a personal note, NVC has helped me become more empathic with myself and others which has enriched my Alexander practice. NVC has proved itself invaluable in interacting with people who have violent and/or passive-aggressive habits of communication. I use to avoid possible friction; now I see an opportunity to practice inhibition by not reacting with the same sentiment I receive, followed by searching for their feelings and needs in hopes that empathy can provide some healing. Connecting Links is a transcript of an informal talk given by Irene Tasker in 1967. By this point Irene had over fifty years of experience teaching the Alexander Technique. She had a unique position as a teacher of Montessori who applied the Alexander Technique to her teaching of mostly ‘disabled’ children with tremendous success. A proponent of the technique in the field of education, she had close ties to John Dewey and was herself a connecting link as she was instrumental in the writing and editing of the majority of Alexander’s books. In the talk she describes the largest takeaway from her work with Montessori as observation and attention to the ‘means whereby’ recalling, “I learned from Montessori that my function as a teacher was primarily to observe and, according to what I observed, to provide each child with material best suited to him at his particular stage, and then acting as his guide, to give him the least help necessary to enable him to educate himself.” She stresses repeatedly through the talk the importance of giving the means, not the ends. I can’t help but compare this to my philosophy of teaching the viola where my main goal is to teach my students how to practice, how to figure out problems on their own. A point that comes up in the talk has been bouncing around my mind, as I enjoy writing about the AT; to express concepts previously unexpressed in language is bound to be problematic and that writing which concerns itself with truth requires work to understand. I often find that only after I experience a truth, that I can recognize and appreciate it. There is a wonderfully charming and heartwarming account of Ms. Tasker’s application of the Alexander Technique at the “little school” as well as other teaching positions she held over the years. She stresses the importance of applying the work to speaking advising, “I don’t think too much importance can be placed on the application of the work to speaking” adding “I think it should be part of the training of Alexander teachers. It is true that we teach with our hands to convey sensory experiences, but it is speech which conveys the ideas of which the sensory experiences are the counterpart.” Reflecting back on my training, I wish more emphasis was put on this, it took quite a while before I felt I could keep my inhibition and direction going while speaking and was often tempted to work in silence. We certainly did not spend the kind of time Alexander did working with speaking from what I can gather from the accounts of the early trainings. I love her response to the ever present question of progress in the AT: “We tend to speak of the ‘work’ and ‘the progress of the work’ forgetting that ‘we’ are the work.” I take that to mean that the collective body of Alexander teachers and students working (inhibiting and directing) will determine any progress in the work as a whole, not the perfect image or breakthrough scientific theory of the Technique. 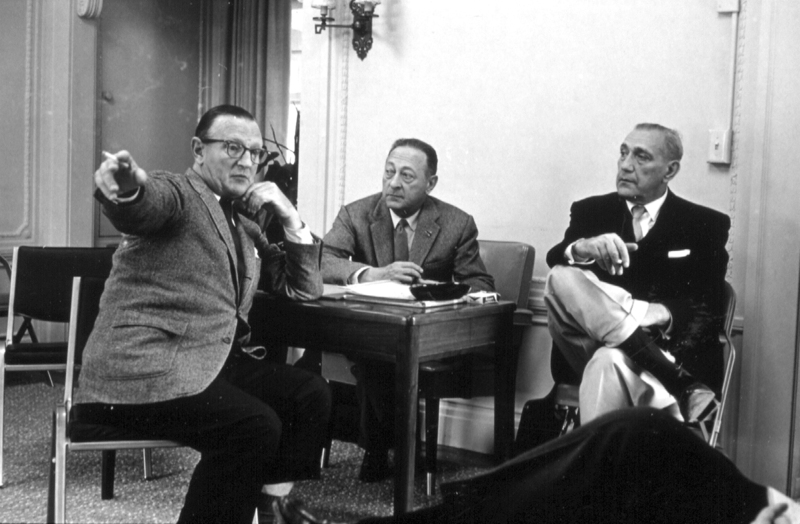 Although the talk is nearly fifty years old, it seems as relevant as ever. Perhaps Ms. Tasker and I are kindred spirits as her emphasis on “not knowing”, that we [teachers] are the learners, and using Technique to connect the different parts of our understanding so we are more than the sum of the parts reflect my own values. The Alexander Technique by Judith Leibowitz & Bill Connington opens, not with a technical definition or theoretical/philosophical description as many books on the Alexander technique do, instead the authors choose to begin with a relatable list of a variety of imaginary people with stress related ailments asking the reader what they have in common followed by a very straightforward explanation that excess tension and stress are direct results of misuse of the body. They even go so far as to list a number of conditions that can be alleviated by using the Alexander Technique. kinesthetic- He became aware of (1) the feelings and tensions in his body and (2) his body in space. visual- He saw his habits more clearly. structural- He had greater knowledge of his anatomy and movement. intellectual- He was more clearly aware of his thinking process. emotional- He saw how he interacted and behaved with other people and his environment. Another theme that is recurrent is mindset. The authors assert that mindsets or beliefs create muscular holdings in the body and that leaving one’s self alone is key. They cite Zen in the Art of Archery as an accurate description of the Alexander process and go on to describe the relationship between the principals of the AT; Inhibition, Mental Directions, and Sensory Awareness (in that order). They detail the primary directions and their meaning. Interestingly, the direction, “and let my shoulders widen” is given equal value to the other directions. In the next chapters on mind-body connection and self-image & psychological factors there are more stories from the authors about how the AT accelerated progress in psychotherapy, relating the experience to the work of Reich. There are also many more stories of personal transformation related to those topics from students keeping with the overall personal and relatable tone of the book. Some interesting tidbits to put in context of time are the questions, “How much does an AT lesson cost?” and “How often should I take lessons?” The answer to the former is $30-70, which means the cost hasn’t risen all that much since the book was written in 1990. The answer to the later is also interesting as she mentions that Alexander would tell people to come for a “course of lessons” meaning five lessons a week for six weeks. The authors advocates for three lessons a week for two weeks, two lessons for two weeks, then a lesson per week citing financial and time constraint changes in the average person since Alexander’s death. Also interesting is the advice to get a referral from your doctor and send in an insurance claim/reimburse form for your Alexander lessons; I wonder what the success rate for this practice is. The second half of the book contains “The Leibowitz Procedures” which Judy developed while teaching actors at Juilliard. While Judy notes that the Leibowitz Procedures and the Alexander Technique are not the same thing, they include many of the movements a teacher would guide a student through in an Alexander lesson. The section opens with instructions on how to observe yourself accompanied by a long list of questions leading to awareness of specific parts. This is then taken into activities including speaking, sitting at the computer, writing, talking on the phone, driving, climbing stairs, lifting heavy objects, vacuuming, carrying bags, sleeping, and gardening. Following this trend Judy takes the procedures and applies them to sports and exercise activities such as weightlifting, swimming, biking, aerobics, walking, running, golf, tennis, dancing, skiing, riding, horse riding, and yoga. Judy mentioned earlier in the book that one of the purposes of the book was to offer a chance for the many people who don’t have access to an Alexander teacher nearby something to work with on their own. The Liebowitz Procedures are some of the best instructions for self-study that I’ve come across, however there is much less of a chance for success without a teacher’s hands as the authors admit. The book concludes by stating that the Alexander technique is a tool for living and will help you deal with any life situation, but that you must give yourself plenty of time. As Judy had a hand in training most of the teachers that trained me, I can clearly see her influence in their teaching. It’s interesting to me to note the points where my trainers departed from her methodology as she didn’t have a cookie-cutter process. It’s clear through her writings and her influence on several generations of teachers that her commitment to the principals and skill made her a master teacher of the Alexander technique. Body Learning by Michael J. Gelb was one of the first texts I read on the Alexander Technique, as it was required reading in the very first group introduction to the AT class I took. Upon re-reading it I see now why my teacher and so many others recommend the book to people with little or no experience with the AT. The book contains all of the core concepts of the Alexander Technique with minimal pontificating on possibilities of the future of mankind and other dense topics that plague many AT books, including ones written to be introductions. Also somewhat important in an introduction to the Alexander technique, which can sometimes be seen as a strange and esoteric practice, is the fact that Michael Gelb carriers some weight as an author from his other books which lends itself to the AT; not to mention the many endorsements by well-known individuals in related fields and a foreword by Walter Carrington. As I read the book more recently, I was interested in the book as a potential teaching tool for my students. Right off the bat, I have to say I love the title and cover photo. As with his other books, he shows off his cleverness with double-entendre (ex. Thinking for a Change). I was more than satisfied with the descriptions of Alexander, the detailed timeline of his life and the development of his work, as well as his organizing the principals into ‘operational ideas’ which comprise the first two sections of the book. Mr. Gelb repeatedly makes it known that it is essential to work with a qualified Alexander teacher as the book does leave one wanting something to practice. At one point he describes the “ultimate Alexander exercise” as picking up your phone and making a lesson appointment. In all fairness, there are questions designed to broaden ones awareness at the end of each chapter but the book is hardly a do-it-yourself guide- the primary focus seems to be on building awareness which is the first and arguably largest step. In fact, I get the sense that Mr. Gelb may be intentionally leaving certain explanations vague as to let a teacher fill in the blanks with hand-on experience (the best way to learn the work). He moves very quickly through many concepts and one is left with a general idea of the technique without a lot of specifics about the inner workings, which again may be best for the beginner as it is somewhat well-known amongst Alexander teachers that a lot of theoretical knowledge of the technique can actually slow learning in the practical sense, the two must be cultivated together, organically. Mr. Gelb moves from the principals of the AT into a section “Learning how to Learn” which contains relevant ideas to the AT such as, how children so easily learn, fear, cultivating attention, experimentation, and non-interference vs effort. He then uses a number of illustrations of himself applying the principals of the technique to learning skills including: singing, juggling, teaching, riding a unicycle, speed reading, writing, running, swimming, public speaking, and Aikido. This is the best part of the book in my opinion as it shows the AT in action vs concepts out of context. While his explanations of the concepts earlier in the book are sometimes only adequate, the personal stories of his application of the technique are very useful and entertaining. The only exception to this being the section on Alexander work and organization change as he never bridges the gap between philosophical ideas and practical applications; although it is a cute look at the subject of organizational change through Alexander jargon, showing how organizations behave like organisms. In Body Learning, Michael Gelb also manages to bring together most of the gems from many of the authoritative Alexander Technique texts; you would normally have to wade through many pages and chapters of dense writing to find these otherwise, and that’s asking a lot of someone who isn’t terribly invested in learning the technique. You could argue that this is the best aspect of the book, as many of the source materials are out of print and there is no shortage of explanations of the principles and applications of the work available nowadays, perhaps this was different when the book was written in 1981. Overall, Body Learning is a worthwhile read to anyone interested in the Alexander Technique, even those with a lot of experience as the wonderful quotes, application descriptions, and pictures alone make it worth reading; it also makes a great gift to friends who are curious about the technique. The organization of the book also lends itself well to the group class setting as you can have a class per section in the book, giving the next section as homework to speed-up the understanding, and reduce the amount of time in class spent on explaining the concepts so you can get to the most important part- the hands-on work.